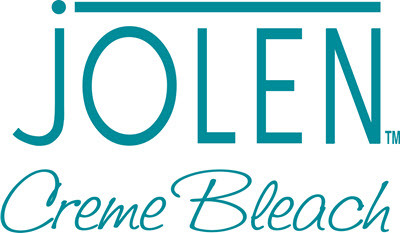 Jolen Creme Bleach, the #1 selling bleach brand in the World, is celebrating 50years in the beauty aisle! I’m helping the brand celebrate it’s birthday by using Jolen my favorite way, coloring my brows! It seems like the summer just ended for me, so my hair is still light. The downside to my hair being the color it is right now, is my brows are black! I mentioned a few months ago, not being in love with my hair and someone pointed out that I should think about bleaching my brows as well. Using the hair color that comes in the box is not safe and can cause blindness. That’s where Jolen comes in. Easy to use at home, Jolen Creme Bleach takes just 10 minutes for results that last up to four weeks. Keep reading to learn more about how you can #GoConfidently! In celebration of 50 years in the beauty aisle, Jolen made some changes to the packaging. They added a model, added more color to the packaging, and included an easy mix cup in the package. Though the packaging is small, you can get multiple uses. Jolen is not just for the brows. Check out the many uses for this versatile product! *Jolen is not recommended for the pubic area. Find Jolen at CVS, Harmon, Rite Aid, Ulta, Walgreens, Walmart and other stores nationwide that carry beauty products. Jolen is available in Original and Sensitive Skin formula. For more information about the Conair mirror, visit here. Stay connected to Jolen for offers, giveaways and the latest in beauty tricks from celebrity makeup artists at https://www.facebook.com/jolen. I’m sure I used Jolen as a teen, nice to see it is still around!